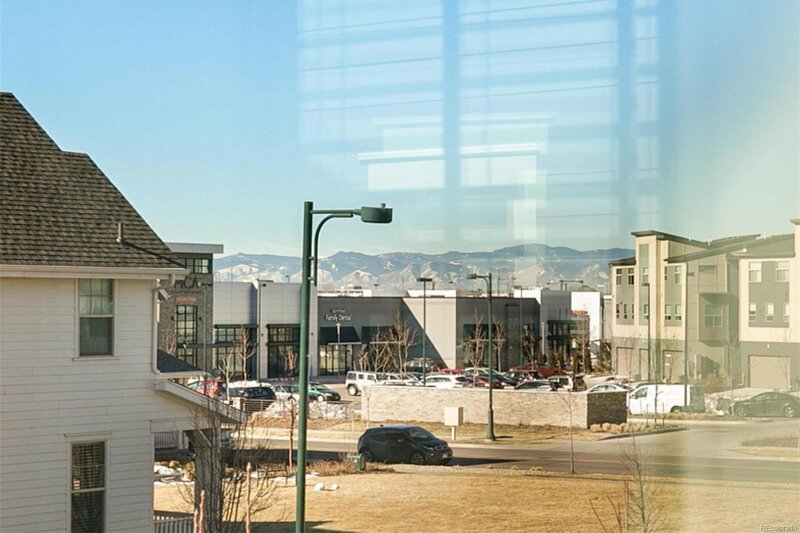 Zero Energy solar powered Thrive home has MOUNTAIN VIEWS.Nearly $100,000 in upgrades! 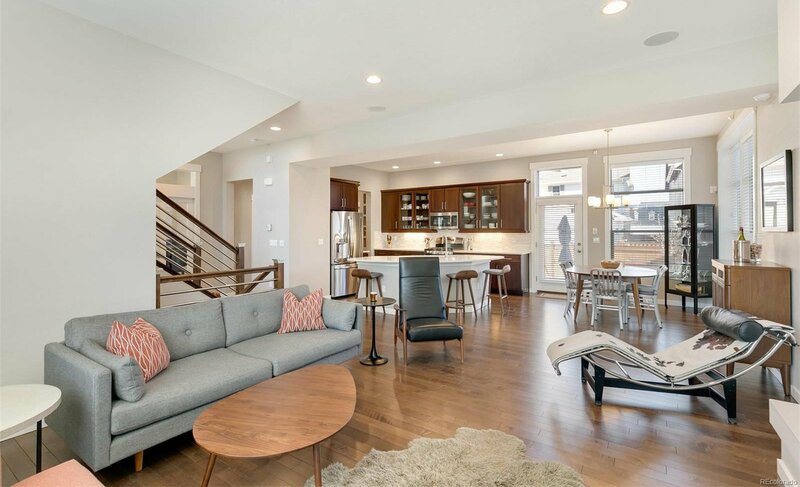 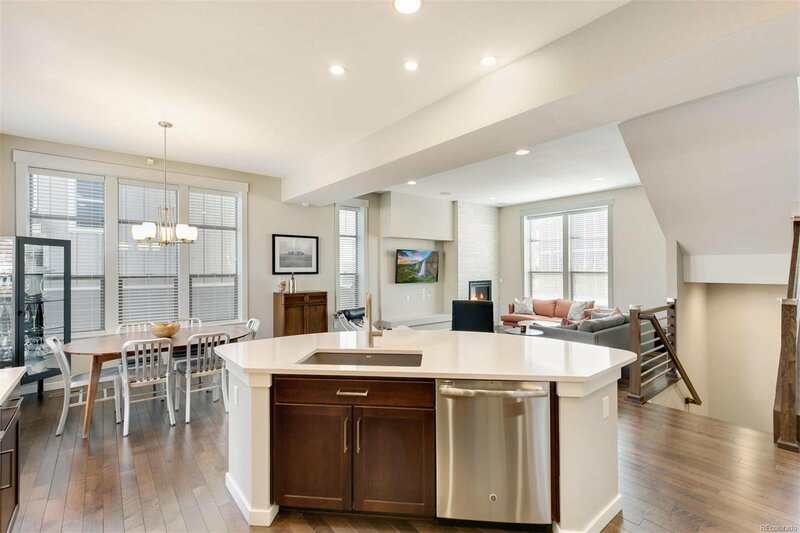 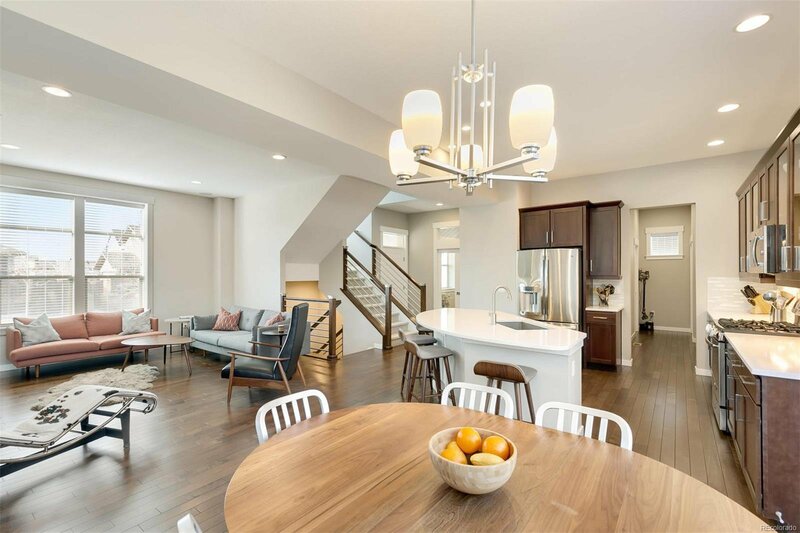 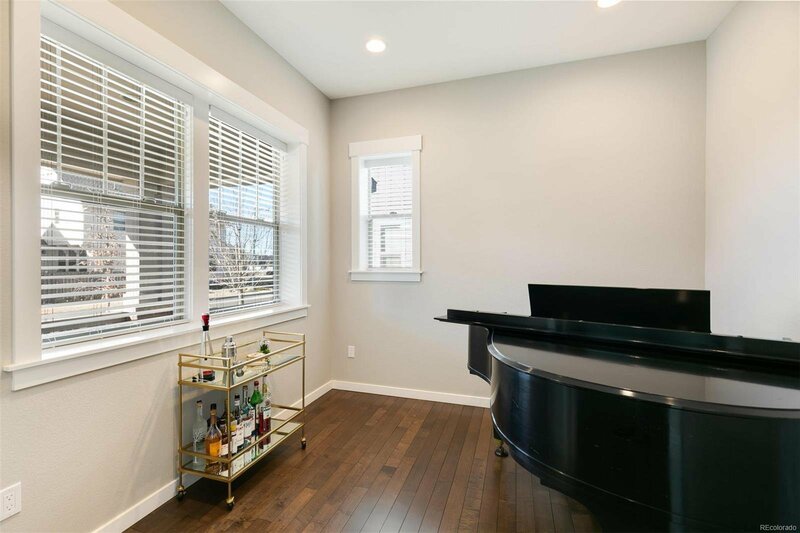 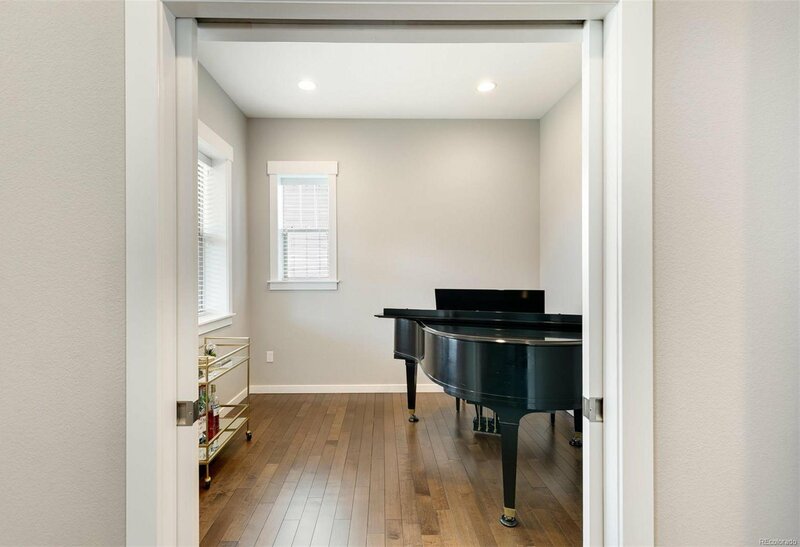 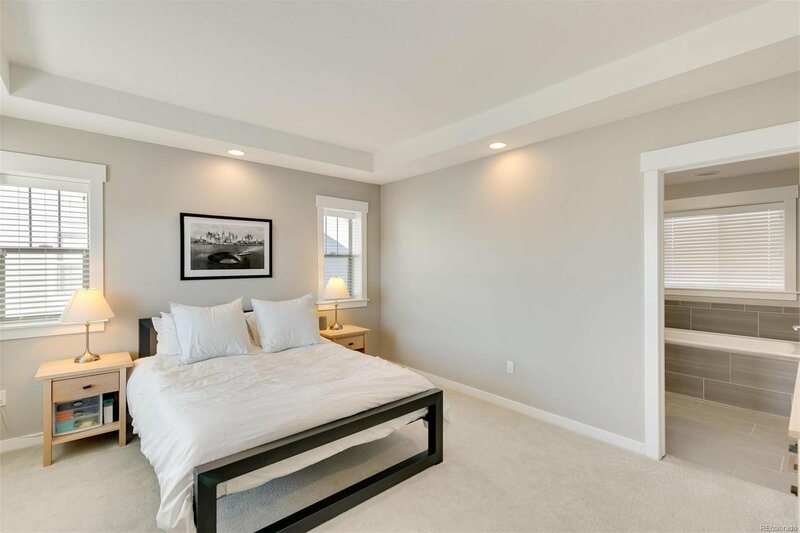 Main level open floor plan has 10-ft ceilings & maple floors. 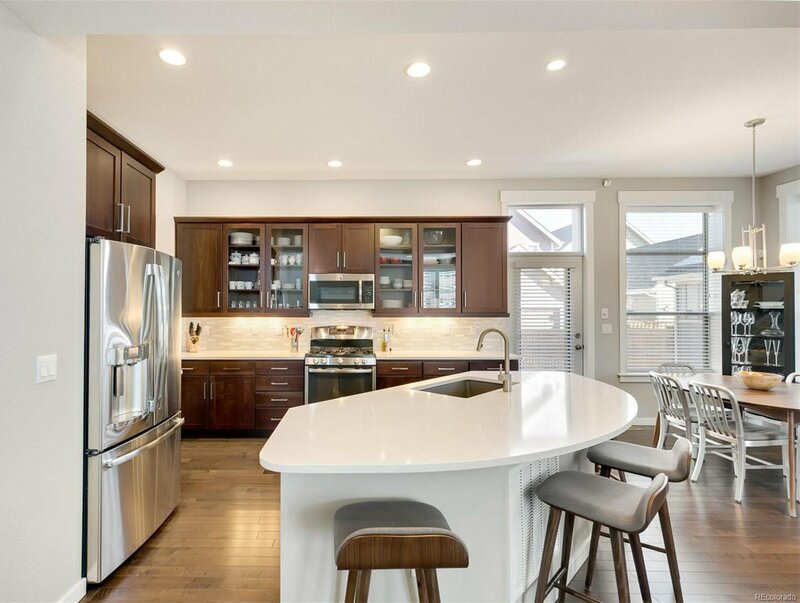 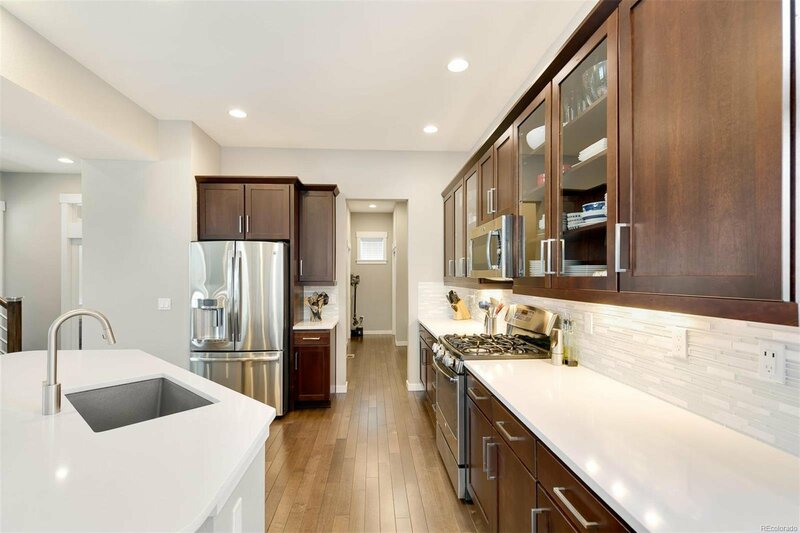 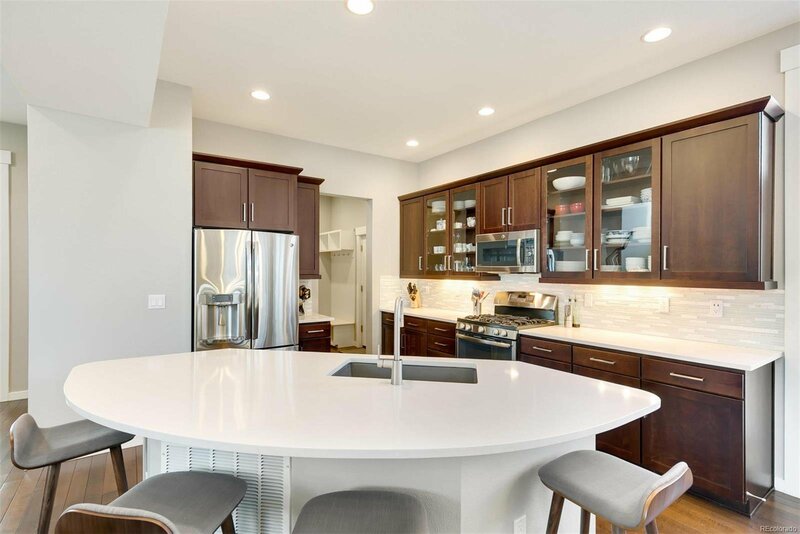 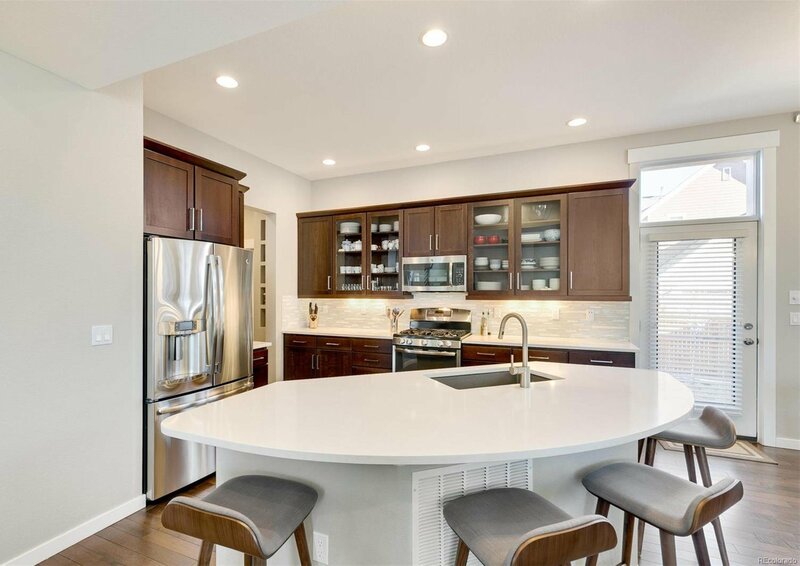 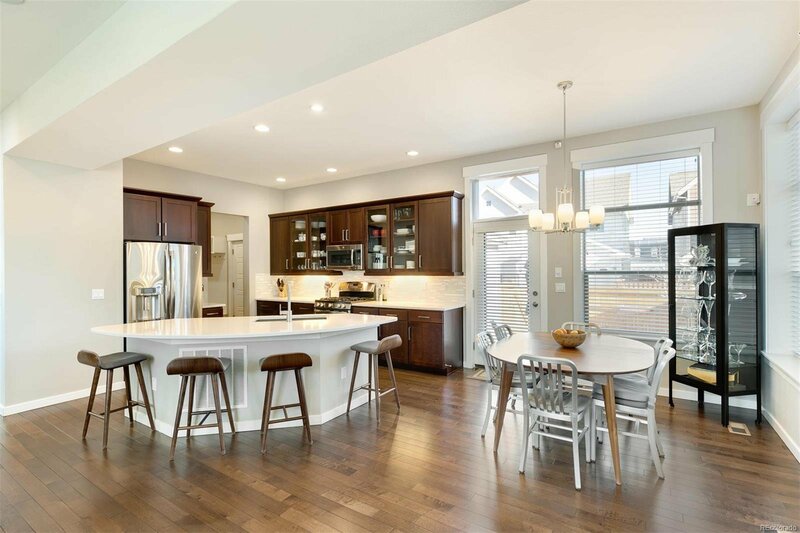 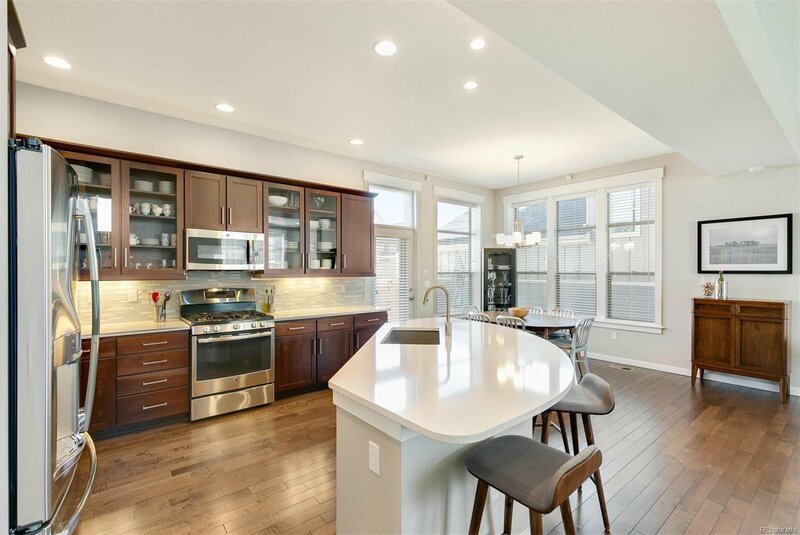 Chef’s kitchen with stainless steel appliances, cherry & glass front cabinets, Caesarstone quartz countertops & center island with seating for 4. 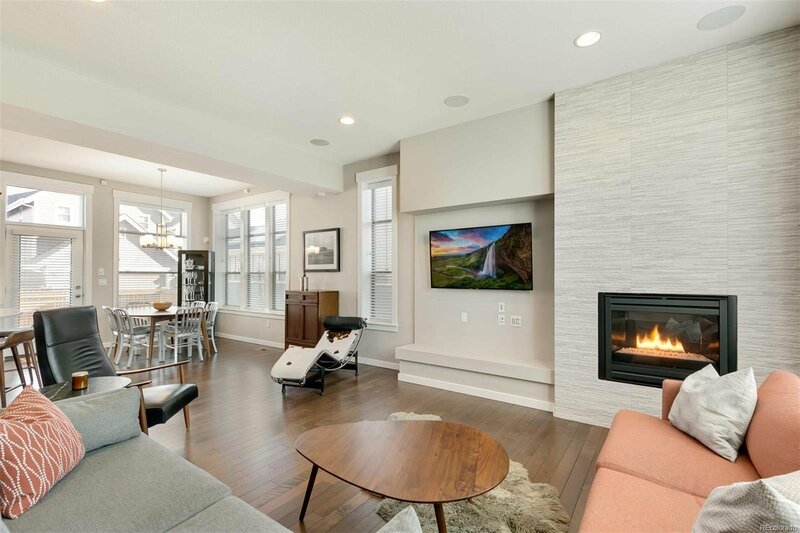 Living room has floor to ceiling modern tile surround gas fireplace w/ built-in bench, can lighting & Klipsch subwoofer & in-ceiling speakers. 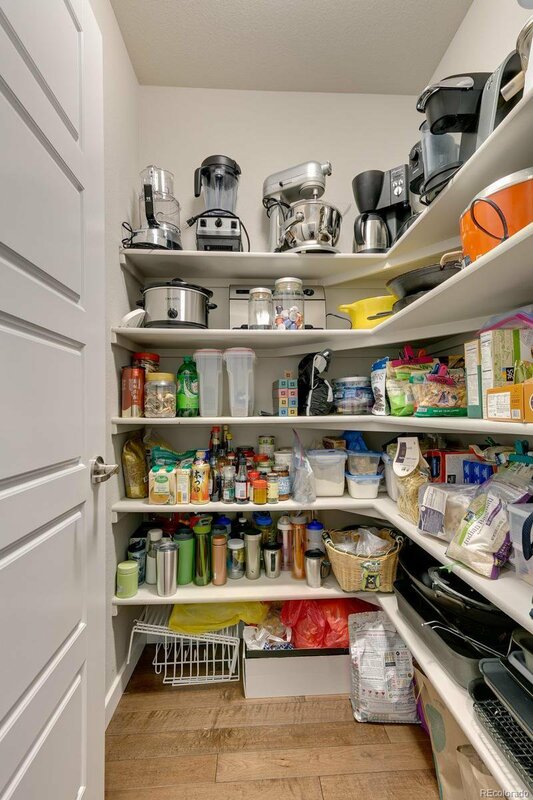 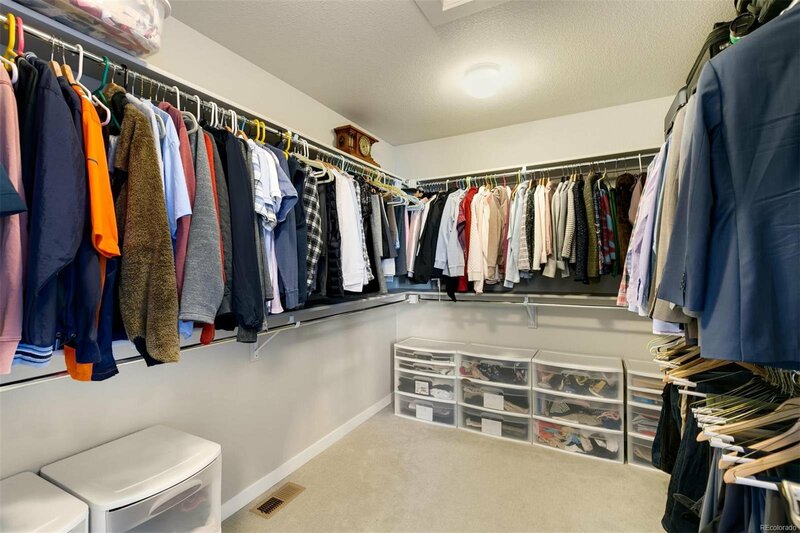 Off the kitchen are pantry, owner’s desk, coat closet, coat rack & cubbies. 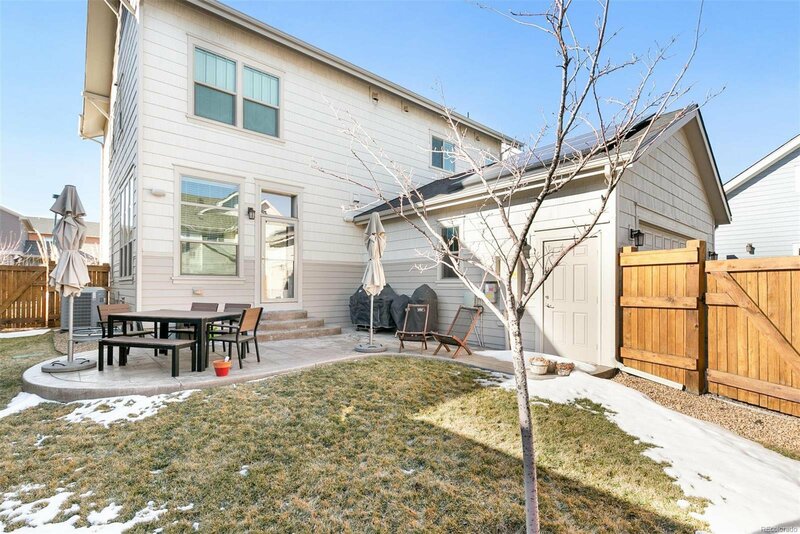 Enjoy stamped back patio & large yard. 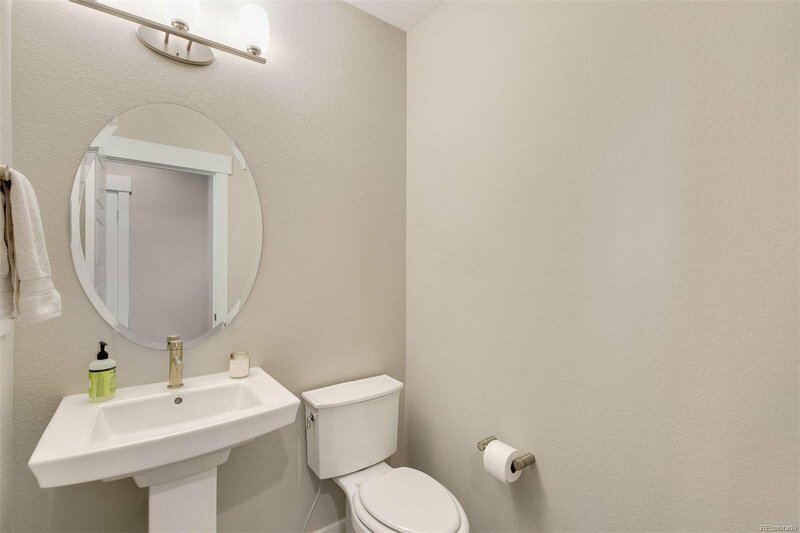 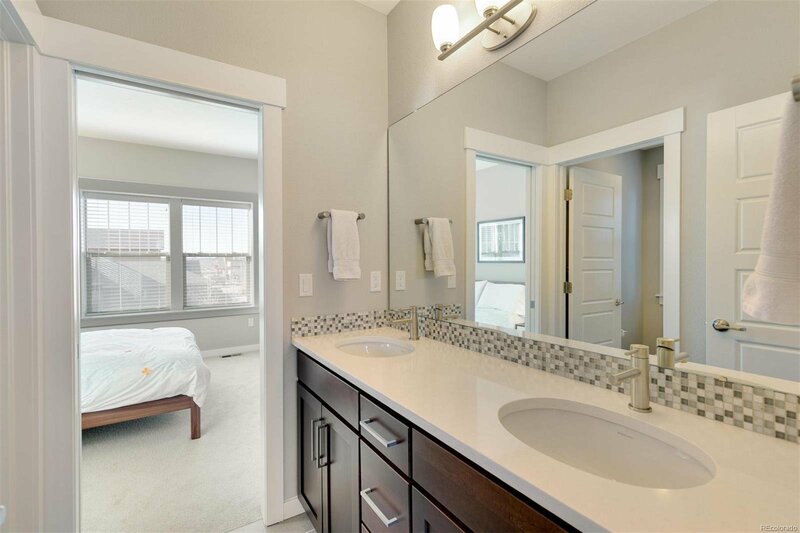 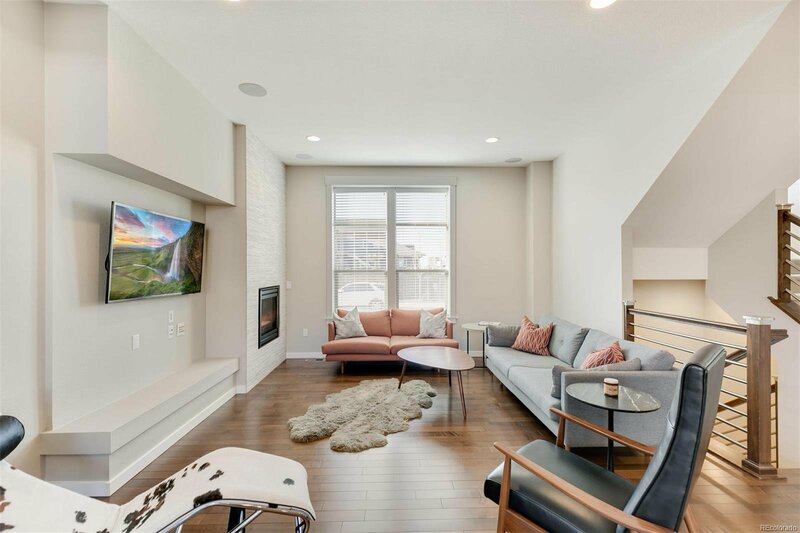 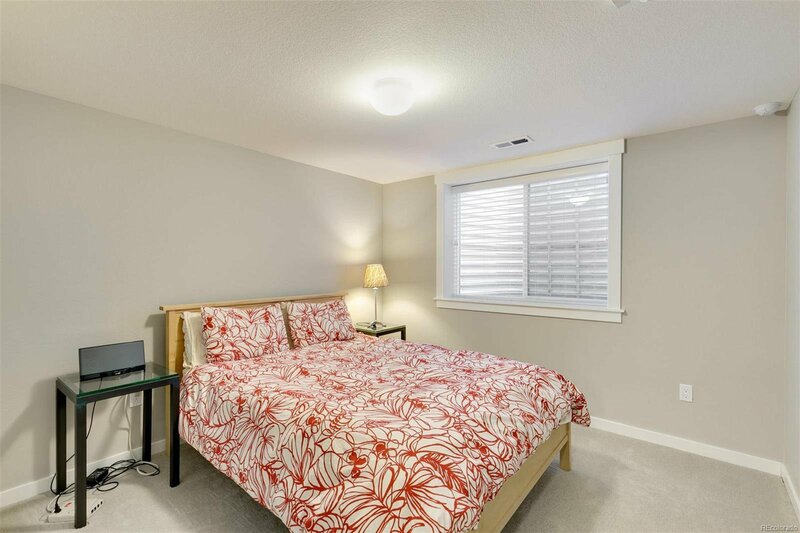 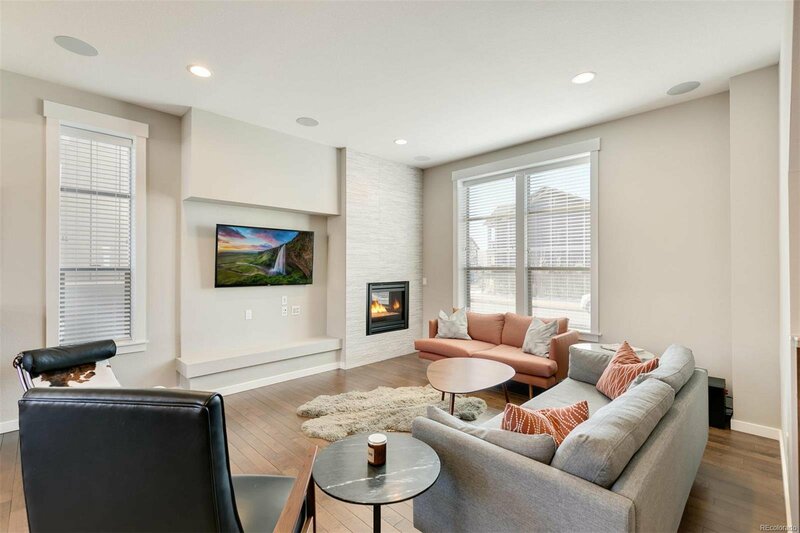 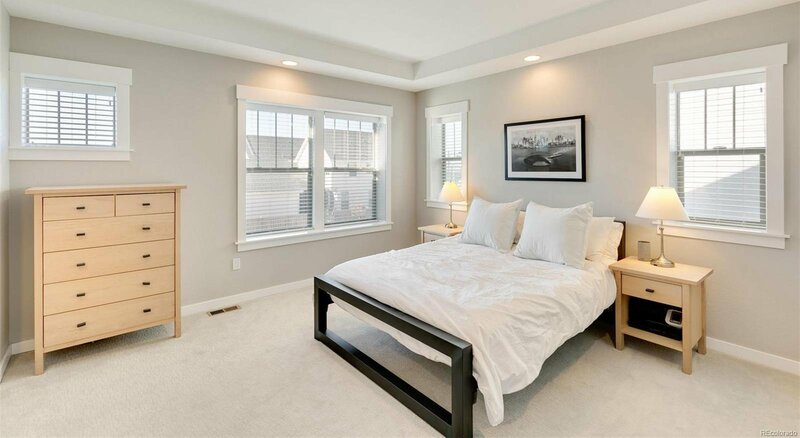 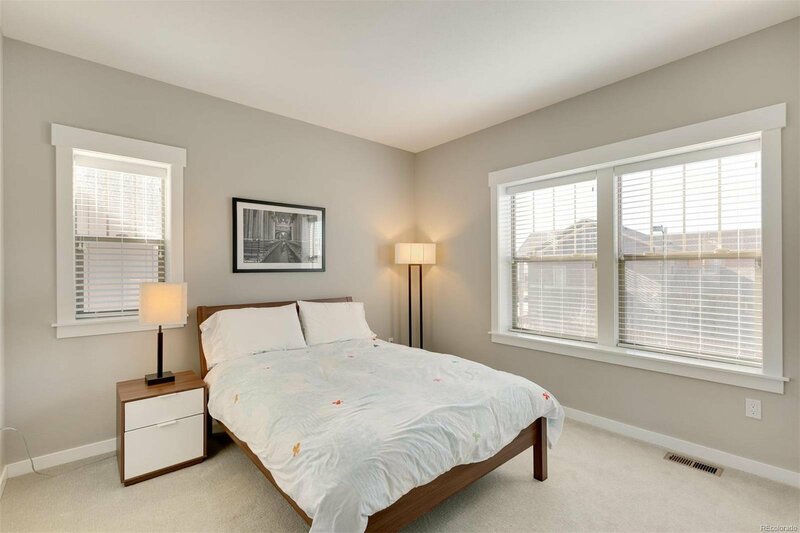 Retreat to the 2nd floor to the well-appointed master bedroom suite with walk-in closet with west facing views & 2 bedrooms which share a full bath. 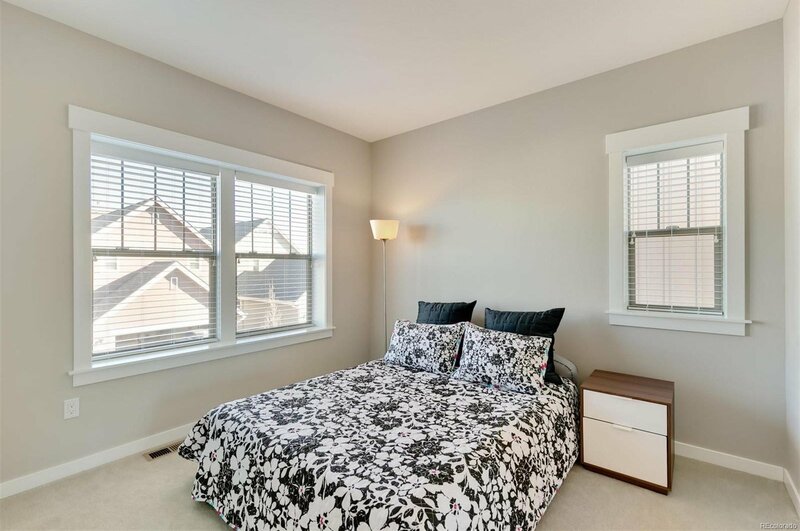 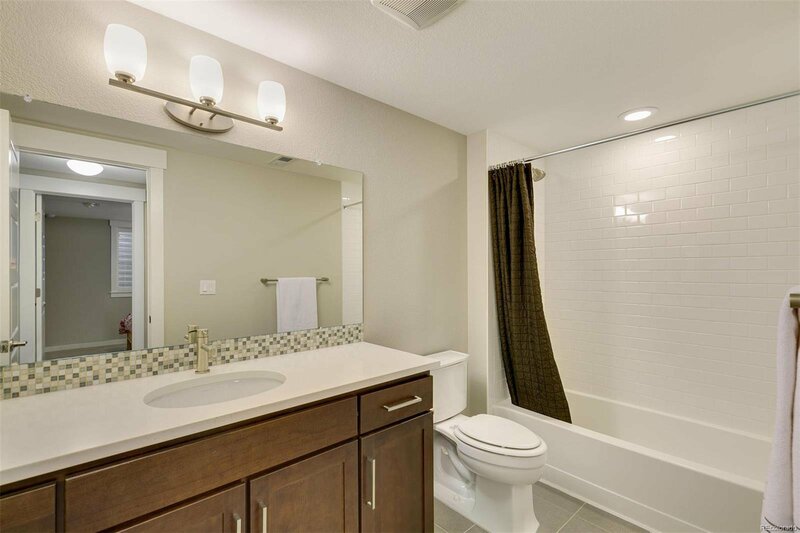 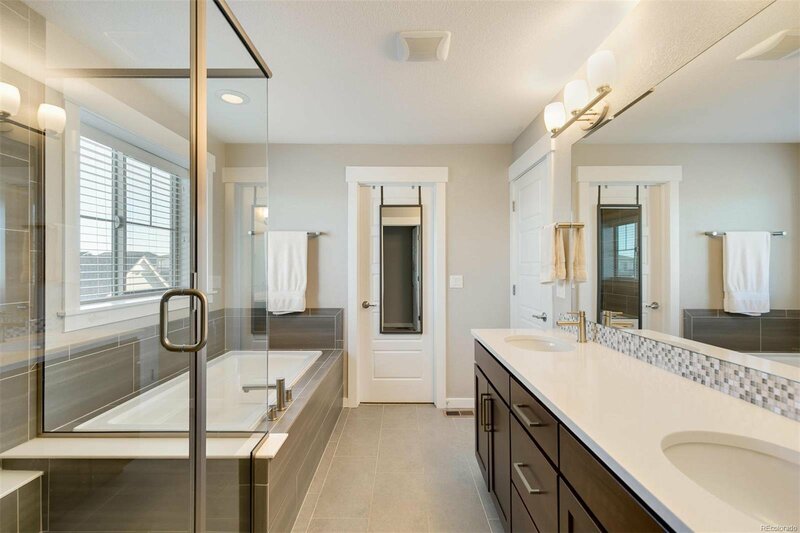 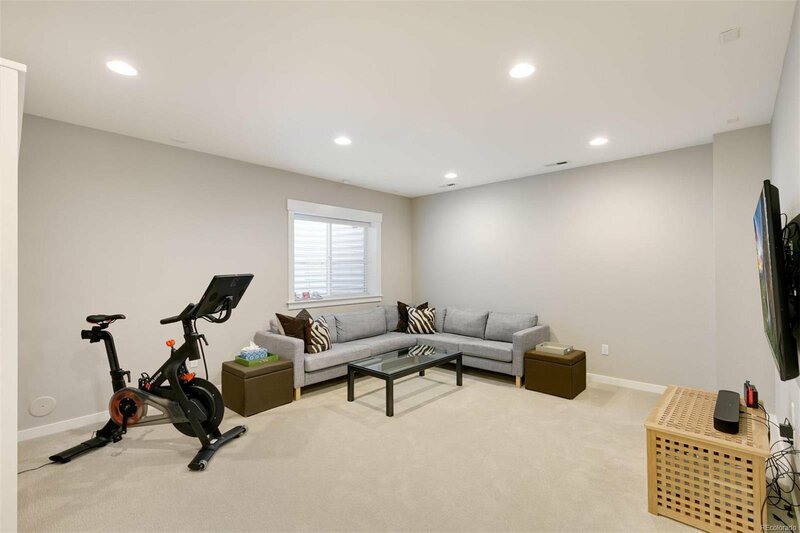 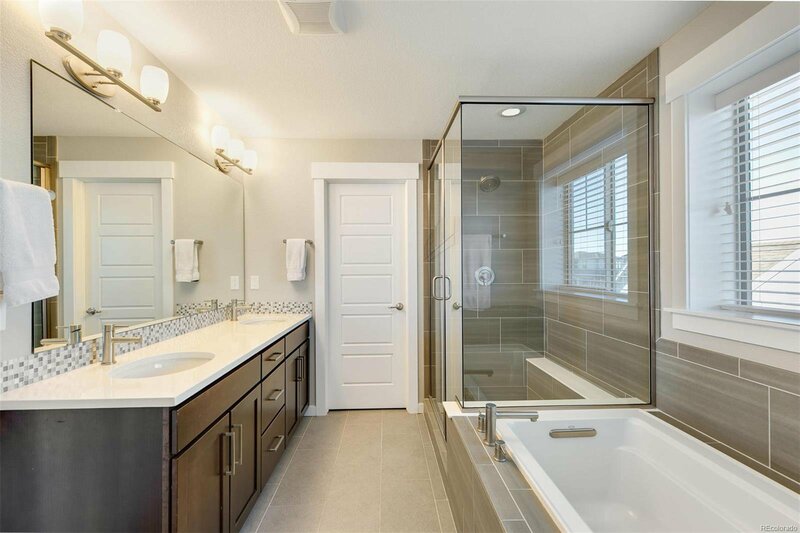 The builder-finished basement has a rec room, full bath & 4th bedroom. 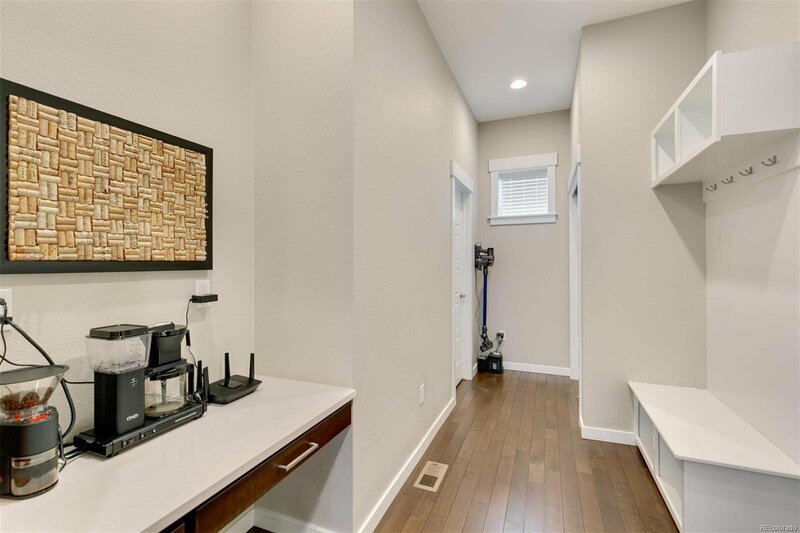 Large mech rm w/ tank-less Rinnai water heater & Carrier HVAC. 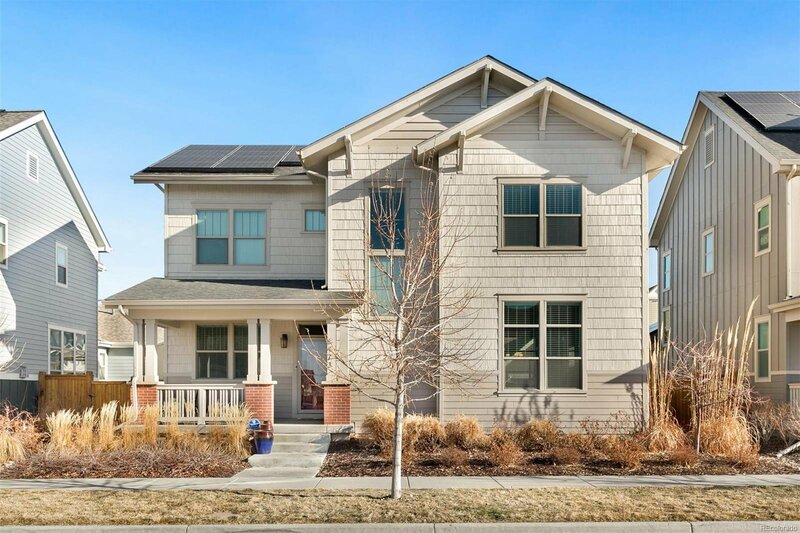 Solar panels w/ prepaid lease. 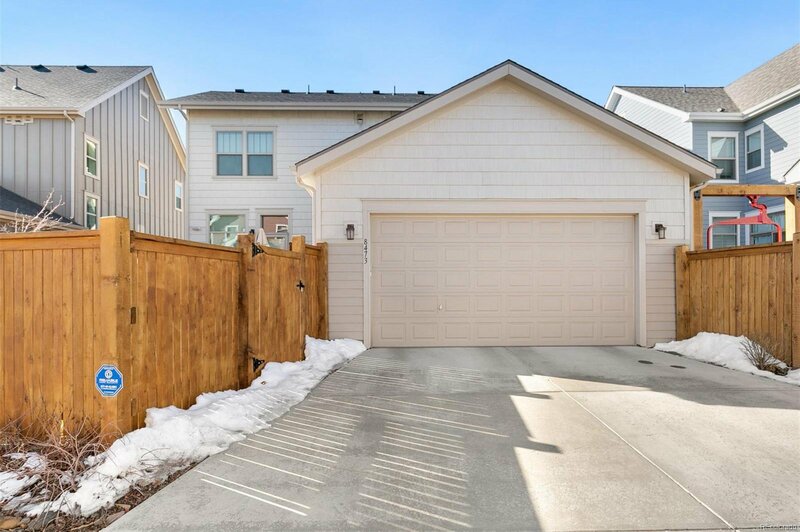 Alley access 2-car attached garage w/smart car outlet. 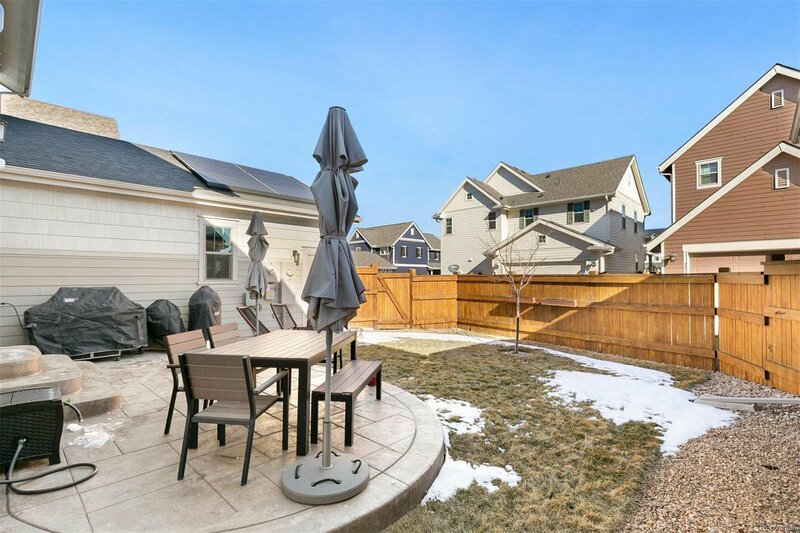 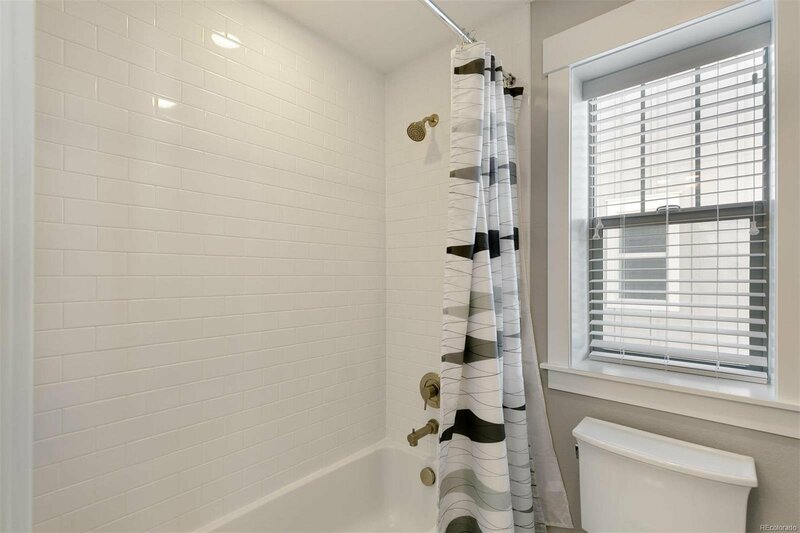 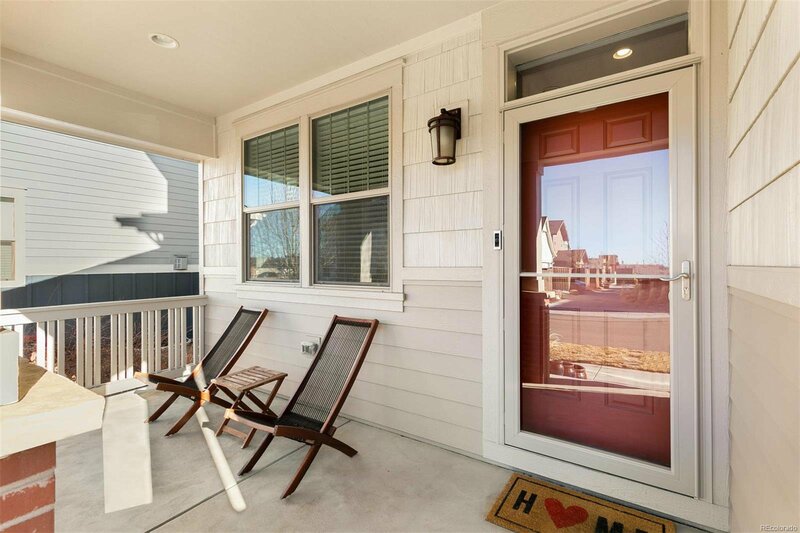 Superior location with all the conveniences of Northfield & Stapleton & A-Line.